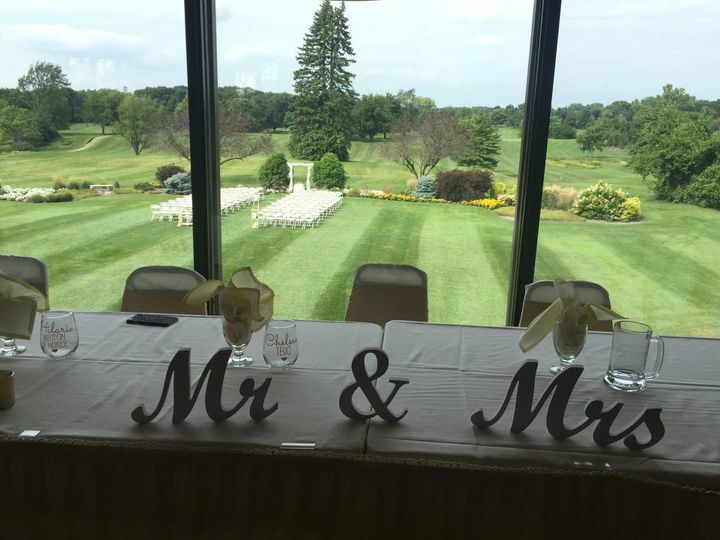 Tamaron Country Club is a full service event space located in Toledo, Ohio. The elegant venue is actually a castle that offers stunning views of lush greenery. The larger than life venue is ideal for your more extravagant event. The thriving landscape and majestic trees provide for a charming view, and the castle can be described in only one word: magical. 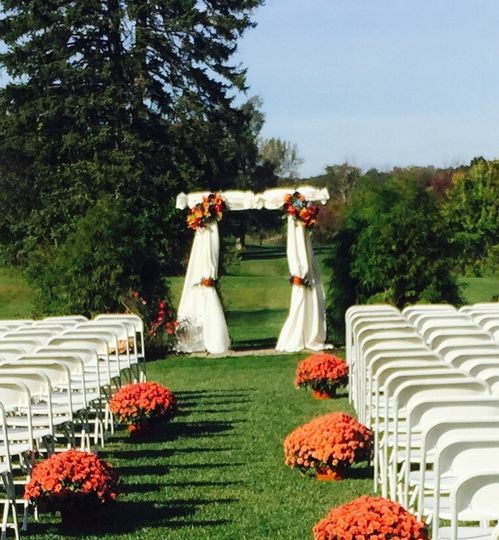 For a fairy-tale wedding, look no further than Tamaron Country Club. 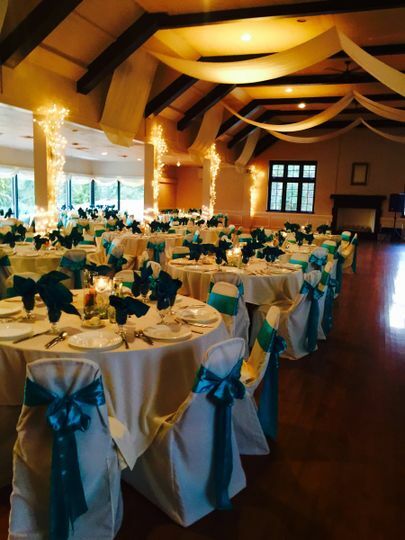 Tamaron Country Club offers a spacious and stylish banquet hall inside a Tudor-style castle. The vast space boasts large windows perfect for viewing the enchanting rolling hills. The lavish venue can accommodate up to 600 guests, and can accommodate any reception, big or small. 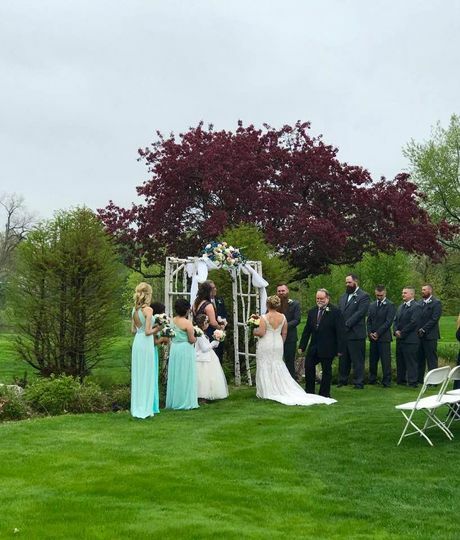 The service-oriented folks at Tamaron Country Club will make sure that your big day runs as smoothly as possible. 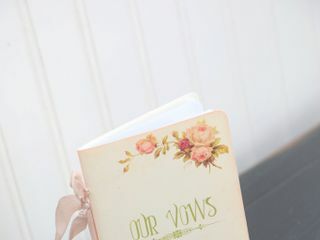 They understand all the stress that goes into planning a wedding and they are dedicated to making your wedding as easy for you as possible. 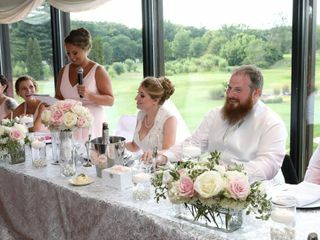 From in-house catering and bar services to accommodations, Tamaron Country Club has got all your wedding day needs taken care of. Tamaron Country Club offers both in-house catering and bar services. The food consists of mostly upscale American fair and classic hors d'oeuvres. The food is prepared with fresh ingredients by experienced chefs. The bar is fully stocked and offers a fine variety of wines, beers and spirits. 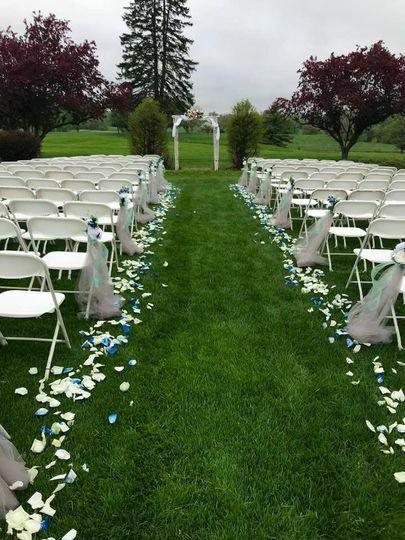 While the Tamaron Country Club doesn’t offer on-site lodging, there are a plethora of nearby lodging options for you and your guests leading up to a following your big day. Located minutes away from Bowling Green, Ohio, you can be sure that your guests will have a place to stay and things to do. Tamaron Country Club also offers ample on-site parking and wheelchair accommodations. We cannot say enough wonderful things about Tamaron and Vicki. The venue was decorated beautifully for the day of our wedding. Which of course Vicki took care of EVERYTHING for us. We had so many compliments from our guests on the food and how beautiful everything was. Vicki was absolutely AMAZING. Every text or call got a response, she never left us feeling confused or in the dark. She kept everything right on schedule the day of the event. Her staff was of workers were also amazing. I have nothing bad to say about our experience at Tamaron. 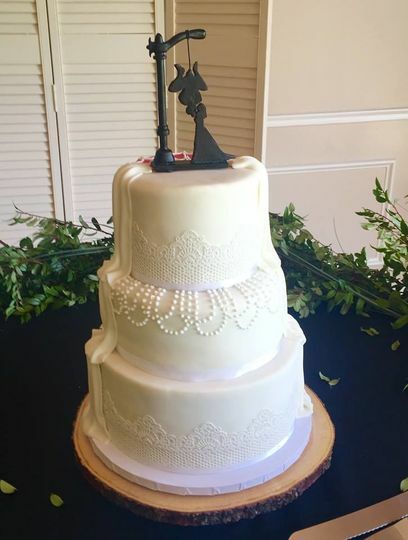 Vicki was our wedding day coordinator at Tamaron and she made all of our wedding ideas come to life! 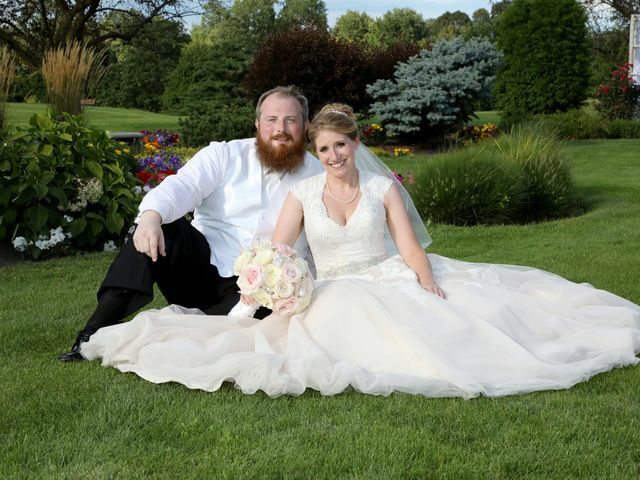 The food was delicious, the decorations were placed to our specifications and the outside ceremony space was beautiful. There were many options and price points to choose from as well. I was glad at the very inclusive packages and not having to worry about extras like linens and tableware. So many wonderful things at the Tamaron that helped make our May 24th wedding amazing. 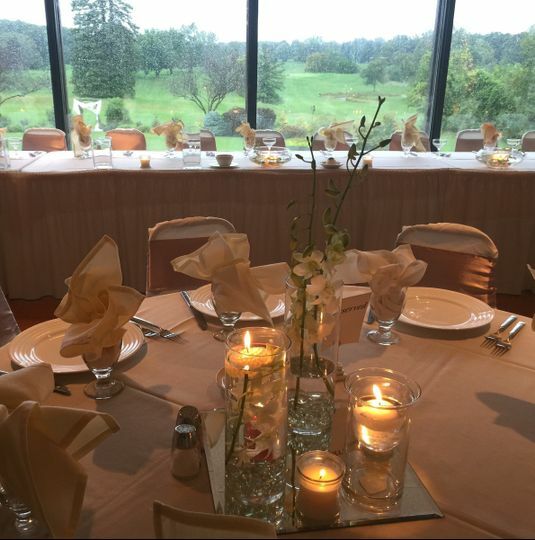 The venue itself is a lovely, with all the windows overlooking the golf course and the draperies from the ceiling. There was plenty of room for a photo booth in the foyer, and a popcorn bar on the actual bar. 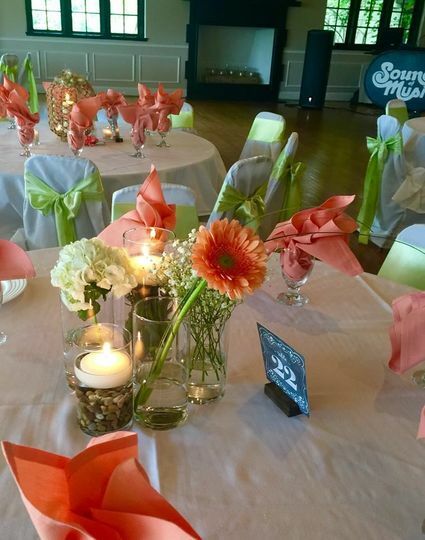 A great perk was using the venue’s vases and having Vicky and her team assemble our centerpieces with flowers we brought. 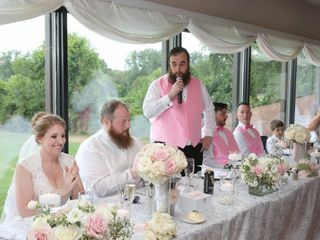 We also had our ceremony outside, and it was gorgeous. 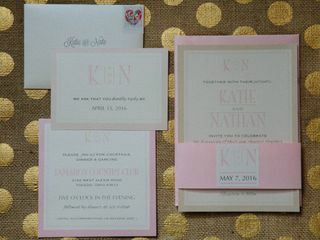 The price and what was included in the package was amazing...we looked at SO many venues (many more expensive), and the Tamaron made us feel like we weren't missing out on anything the more pricey places could've given us. The food tasting was a little different, as you had to inquire and then drive to the venue to pick up whatever food they were making that weekend to try, but it worked out just fine! Our guests enjoyed all the food, as did we (bourbon glazed pork and roasted red potatoes were delicious!). The best part, however, is the event coordinator Vicky. 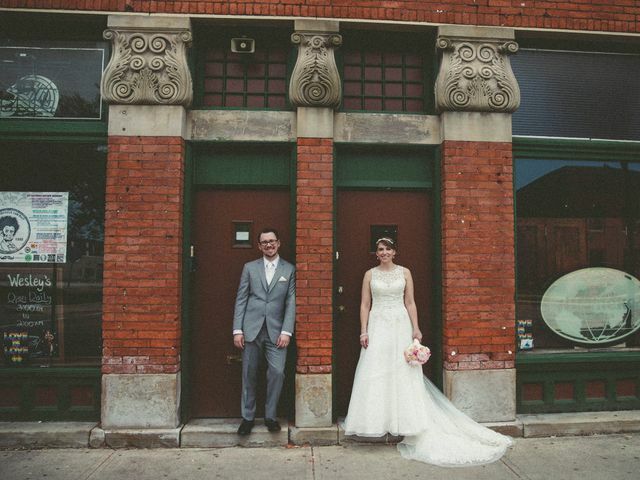 We booked the Tamaron two years in advance, and we met with Vicky a LOT over those two years. She was willing to meet with us whenever we wanted to discuss details or had questions (and we had a lot!). She knows her venue and what works there. She convinced us on family style, and it was great (one of our tables ate FOUR plates of potatoes, so no problems getting refills!). And she also respected us when we wanted to do a few things that were different from what she had done in the past. On the day itself, Vicky had the flow going so smoothly. She was everywhere at once, running the ceremony and reception! She even helped avert disaster when our guests were getting too eager to eat our cupcakes before we had done the cake cutting! Vicky knows exactly what she is doing, and runs a great business. 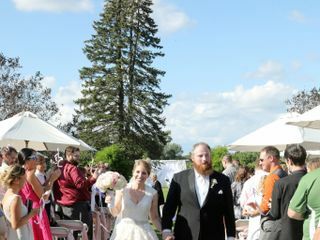 All in all, we had a beautiful wedding at the Tamaron!